The last few months of the year can cause significant distress for those trying to stay healthy during the holidays. With parties, big family meals, and travel, our regular healthy routine has a way of falling by the wayside. You can use these healthy holiday tips to get more exercise, make better food choices at holiday parties, and avoid overeating at Thanksgiving and Christmas dinner. When you think about the days your gym might have limited hours during the holiday season, the extra time spent at school christmas performances, and factor in holiday travel on top of it, there’s chance for missed fitness opportunities. Park in the back of the grocery store and mall parking lots and get a few extra steps in while you shop. Get busy with the kids when they are off school. 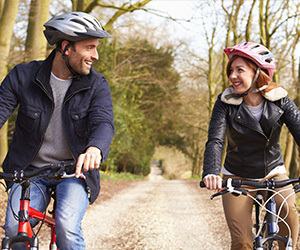 Jump on the trampoline, put together a touch football game, or go for a bike ride. Get everyone signed up for a fun run like the Fleet Feet Free Holiday Classic in Sacramento, and spend a little time outdoors doing something good for your community. Pack some exercise bands in your suitcase if you are traveling so you always have a way to sneak in a little extra sweat. When you know you are going to attend a holiday party, try bringing your own healthy holiday snacks for kids, and some for the grown ups too. Knowing you have healthy snack options like veggies and hummus will help ease some of the stress of deciding what to eat, and help keep you out of the cookies and pie. A great place to find healthy holiday foods in the Sacramento area is Whole Foods. They have a great organic and natural food selection where you are certain to find a wide variety of healthy holiday treats your kids will enjoy. 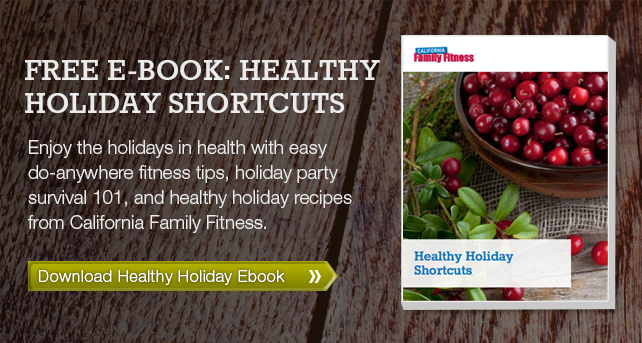 Healthy holiday meals are hard to come by when traditional meals are being served. Even after you bring your own clean holiday side dish to the feast, you still have to worry about how much butter your host may have used in the making of the mashed potatoes, or how many trans fats there are in the fried onions on the green bean casserole. Stick to your healthy holiday eating plans not only by loading up on salad and white breast turkey, but watching your portions, and eat slowly. Enjoy great conversations with family and friends, and consider the delicious meal an added bonus to the festivities, instead of the main course.